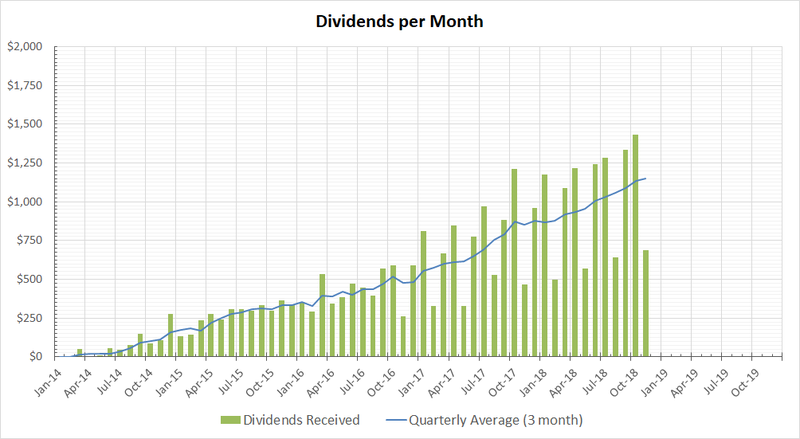 Dividends received are shown below. November is a light paying month due to my portfolio holding less positions that pay then. Due to recent additions to the portfolio, for December I am aiming for around $1350 and January $1620 in monthly dividends. Steady as she goes. The portfolio climbs bit by bit every quarter. Looks like a solid showing for the month. Nice to see we share a lot of names paying us both. Keep up the good work. Look forward to your December totals.